Manford has been in the pest control industry for 22 years. 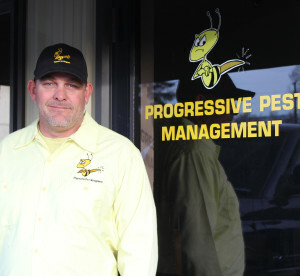 He is extremely knowledgeable in all aspects of the industry. Manford was born and raised in Sparks, NV. 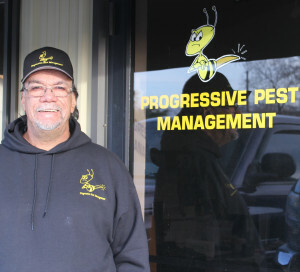 He went to Wooster High School and Truckee Meadows Community College. He loves baseball and has played his whole life. 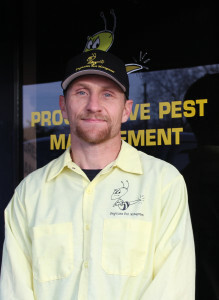 Manford is an extreme sportsman and will take any opportunity he can to go outdoors. 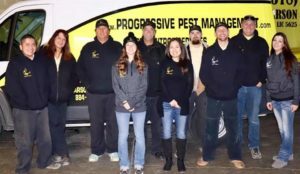 Manford currently carries licenses in the following categories: C-1 Ornamental and Turf, C-2 Industrial/Institutional Pest Control, C-3 Structural Termite Control, C-5 Aquatic, C-6 Right Away. Manford attended Western Community College and completed his certification as a Residential Home Inspector. 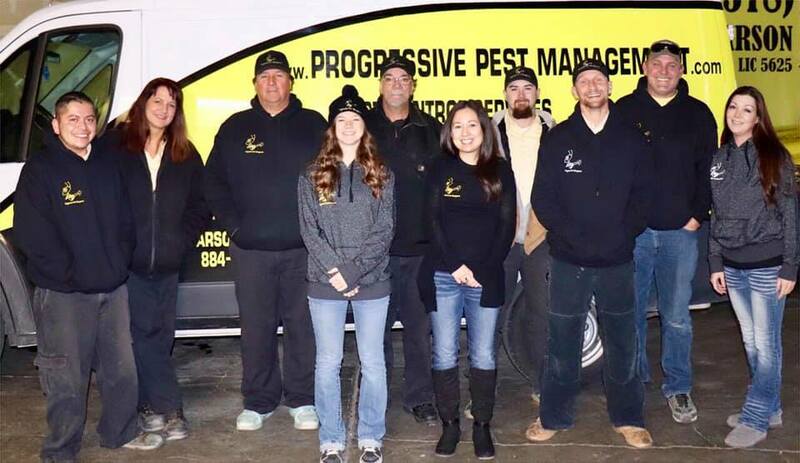 Manford also attended Chemeketa Community College in Oregon to complete a course in Wood Destroying Organism Inspection and Evaluation. Tina grew up in Sparks, NV and went to Sparks High School. She enjoys spending time with her family, has a passion for hunting and the outdoors and spends as much time as life allows in the hills or high atop a mountain. 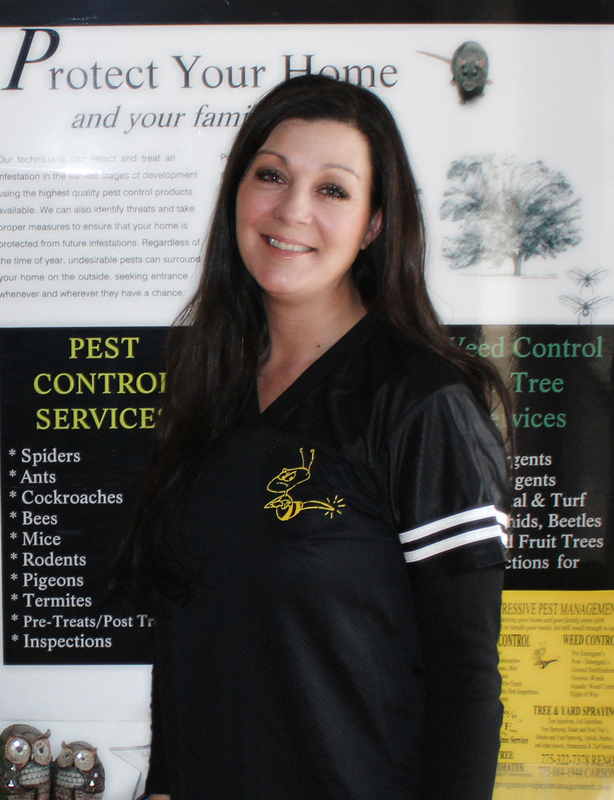 Tina was previously in the building industry specializing in new home builds and project development. 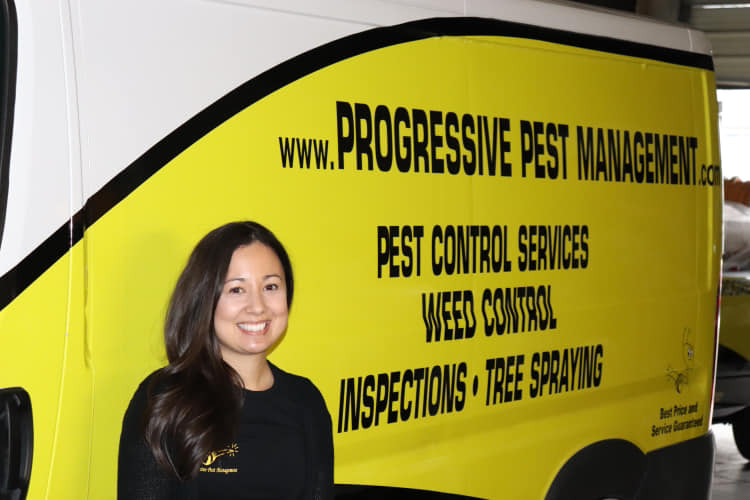 Tina brought her building industry experience to Progressive Pest Management in 2003 to primarily focus on new home soil pre-treatments. 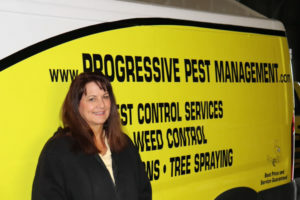 In the years Tina has been with Progressive Pest Management she has contracted with several new home builders and we are currently providing soil pre-treatments on more than 30 new home communities today. Jon has been with Progressive Pest Management for 13 years. 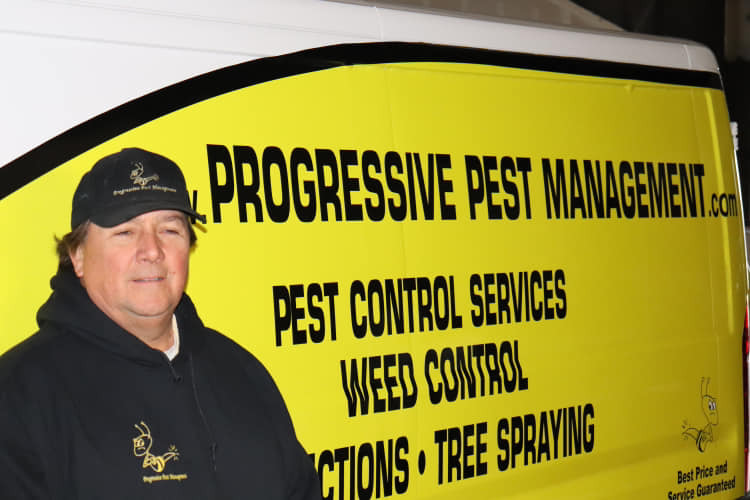 Ron has been with Progressive Pest Management for 6 years. He is licensed in pest and weed control. Jose in from Carson, Nevada and went to Carson High School. 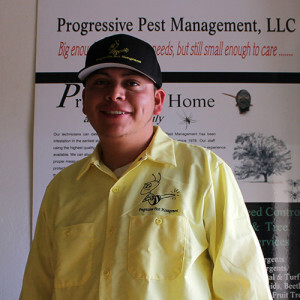 Jose is licensed in pest and weed control. 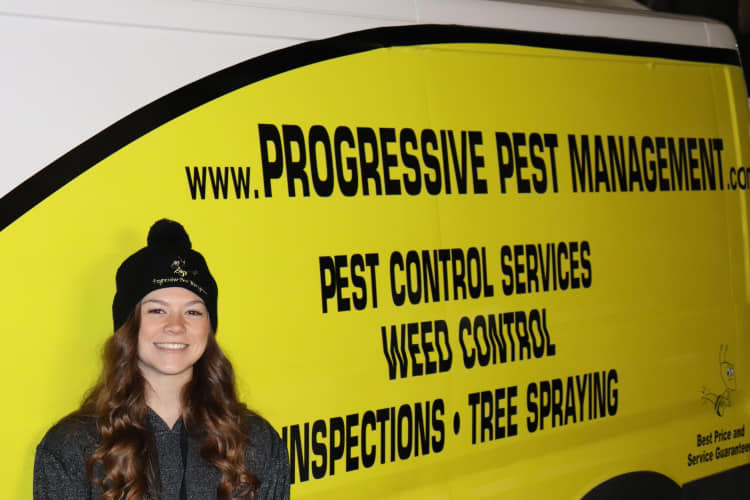 He works in our Reno/Sparks areas as well as the Elko area. 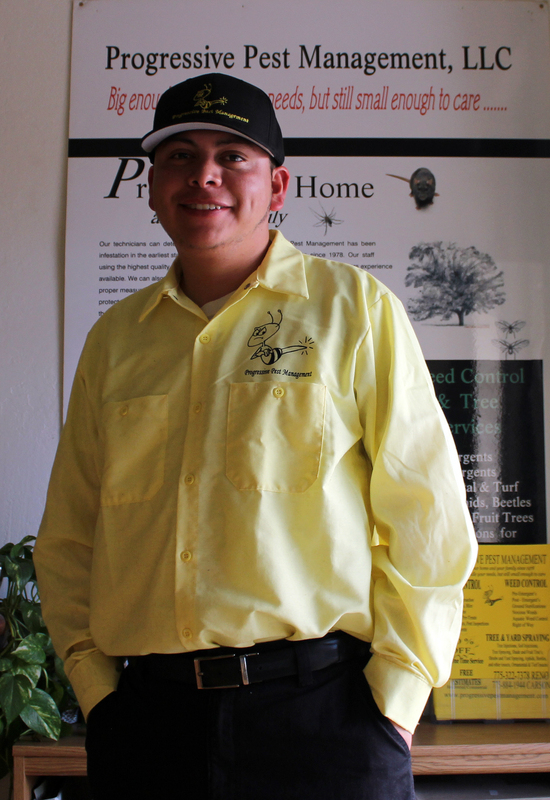 Jose enjoys spending time with his daughter and loves hunting and the outdoors. Jose is also an avid Green Bay Packers Fan ! 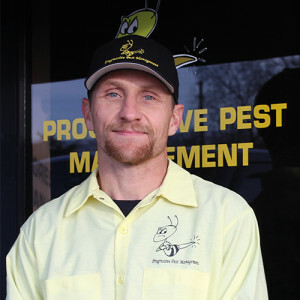 John has studied Sociology, Agriculture, Weed and Pest Management.